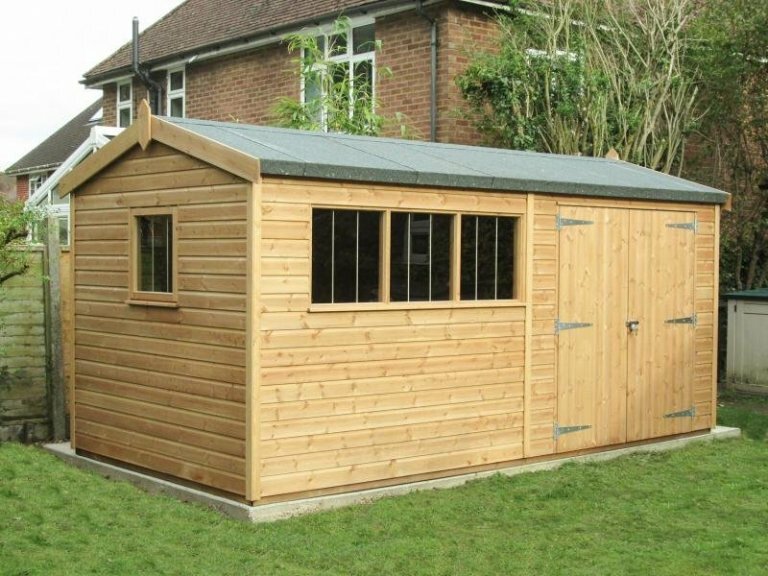 This Superior Shed is 2.4 x 4.8m in size, and it has been installed in our customer’s garden in Alton, Hampshire to use as a spacious, yet secluded hobby room, to spend time in away from the hustle and bustle of the house. Externally, this is a large, yet simple workshop in design, with heavy duty felt on the apex roof, six windows in total to allow plenty of natural light inside, the cladding is formed of shiplap, and for a natural finish that protects the timber against fungi and woodworm, the customer opted for our Light Oak preservative (we do have other Exterior Colour Ranges available). 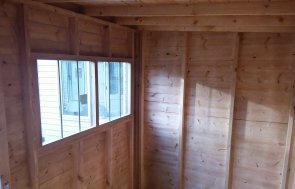 Two of the windows can be opened to allow for air flow, and the customer also opted for a security pack to keep their hobby equipment and creations safe inside. This pack consists of a seven lever lock and a heavy duty sliding bolt, security screws for the door hinges, and stainless steel window bars. 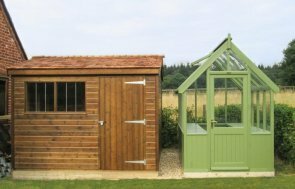 Internally, there is a workbench underneath the set of three windows, which is made of oak-faced plywood for a solid, sturdy finish. 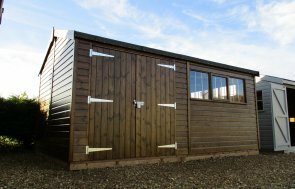 If you like the sounds of our Garden Sheds, and you would like to know more, please call us on 01760 444229 or visit one of our Show Centres to speak to us about your requirements.